Conscious breathing is breathing while being present in consciousness. It is the simplest recourse, when one finds oneself caught in the racing thoughts of the mind, an excess of positive or negative emotions, a physical tiredness, etc. Conscious breathing makes it possible to refocus, to pose our consciousness in the body and in the present moment. Breathing is our first source of physical energy, connecting to it allows us to connect to the source of our vitality, to recharge our batteries. Its source, the lungs, is at the level of the heart; breathing by placing one’s consciousness at that level, opening the doors of the heart chakra, and allowing us to bind our consciousness to our heart. By its movement, the breathing constantly solicits our belly, where is our solar plexus, seat of our personality. Thus breathing consciously also allows us to place ourselves in our personal seat. 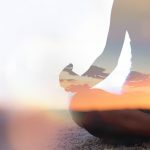 The vast majority of the world’s traditional cultures have honored the breath as a powerful factor in improving the physical, mental and emotional well-being of the human being and as a vehicle for raising one’s consciousness. Rediscovered in the sixties, Connected Conscious Breath represents one of the most powerful forms of breathing. Since our conception and when we were born, we have all, to a certain degree, experienced suffering and strong emotions. Events experienced and felt, we often draw negative conclusions about ourselves and about life. Much of the course of our adult life is based on beliefs put in place in the early stages of our existence and during the few months following our birth. One of the great strengths of conscious breathing is to allow us to revisit and integrate on a subtle level everything that we have repressed, especially during these early periods of our existence. The breath then acts by dissolving the energy marks associated with the emotions, present as small clouds that have registered in the body. This first exercise is to recognize our inhalation for what it is, a simple inhalation, and our exhalation as a simple exhalation. It’s simple but the effect is very deep. When we focus fully on our inspiration, and recognize it as such, we automatically free ourselves from the past and the future, and we return to the present moment. We begin to generate energy of mindfulness and concentration, which are the first steps before authentic freedom. I recognize that my body is there. In the whirlwind of everyday life, we forget that we have a body, we are there without really being there. Our body is there but our mind is elsewhere. We are not available to anyone: neither for ourselves nor for others. Sometimes only a single inhalation is needed to bring our mind back to our body and thus be in touch with this wonder that is our body.